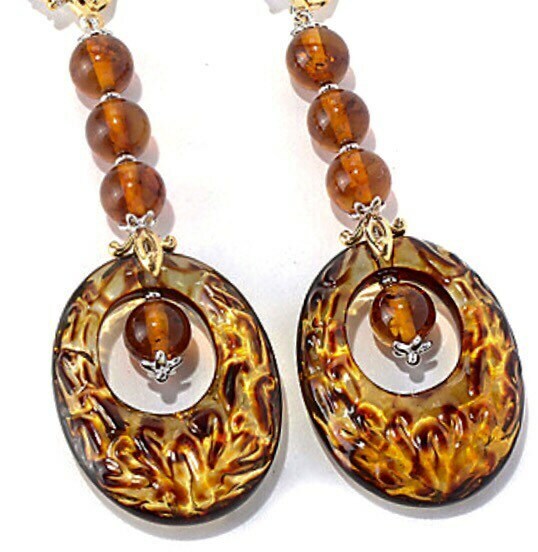 Sterling Silver Palladium 18k Gold Carved Amber Filigree, Amber Bead & Orange Sapphire Earrings. 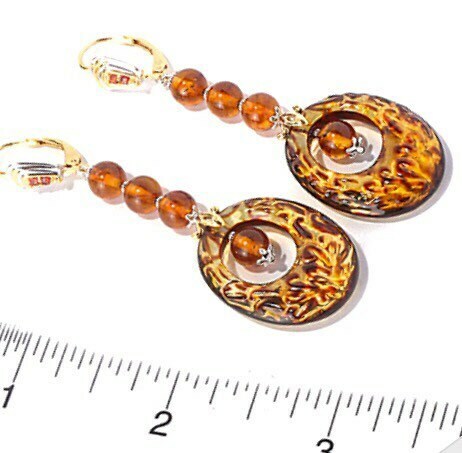 Carved Amber Filigree, Amber Bead & Orange Sapphire Earrings. 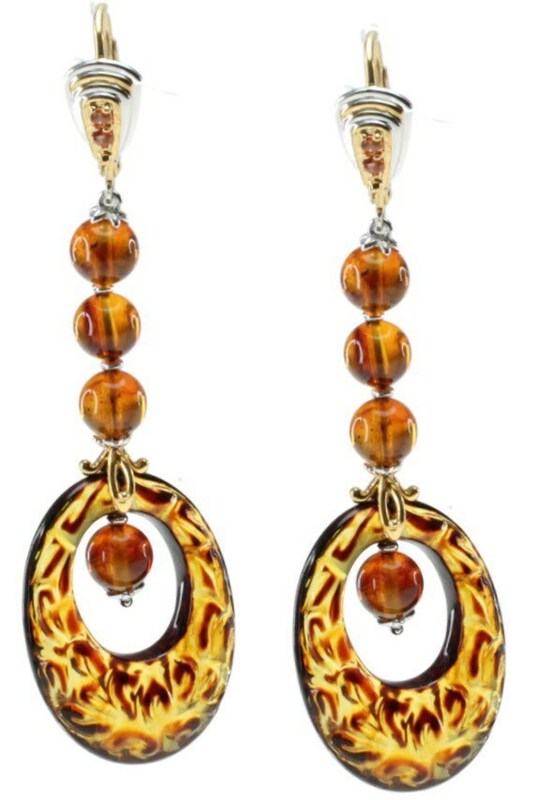 A honey-hued design that's drop-dead gorgeous! 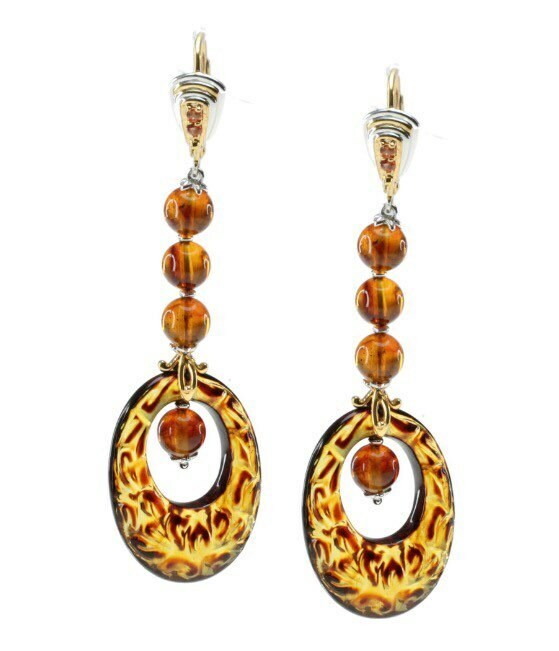 Designed with polished sterling silver and palladium along with 18K yellow gold hand plated accents, each earring features a carved oval 26 x 10 x 4mm amber with filigree design at the bottom. 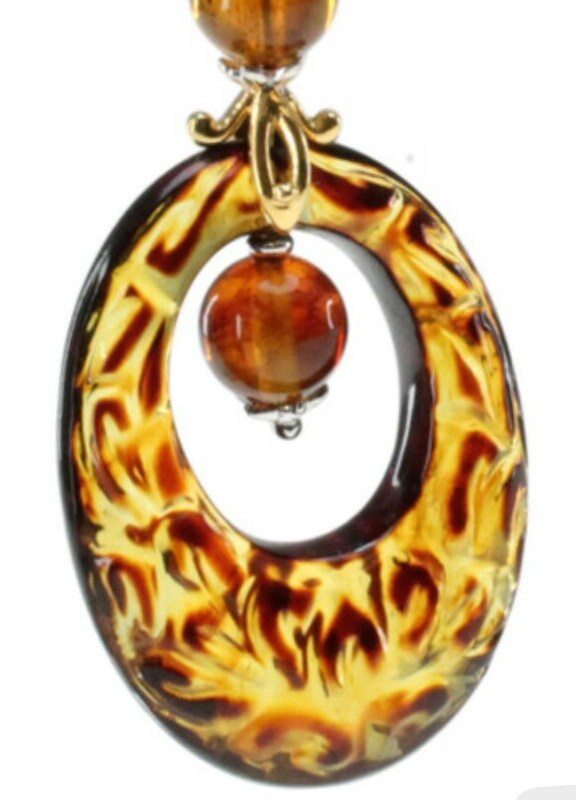 There is a round bead cut 6mm amber bead inside the carved amber oval and there are three round bead cut 6mm amber beads above the carved amber oval. 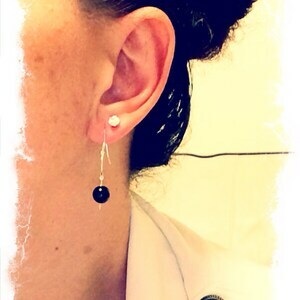 The earrings measure 2-11/16"L x 13/16"W and secure with lever backings. 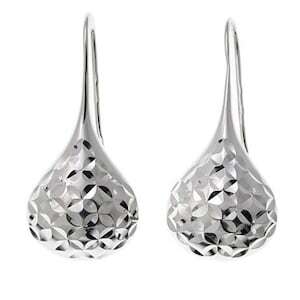 The total amber weight is 20.94ct and the zircon weighs 0.16ct (both approximate). 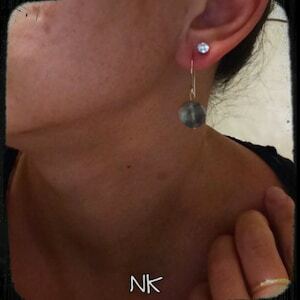 Faceted Fluorite ball sterling earrings.